2016 at the Hotel, Bar-Cafe& Restaurant Fair , Mambocino was again very outstanding and full of surprises. 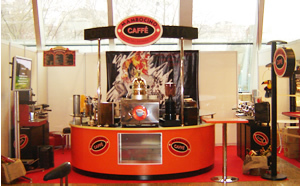 Mambocino with it's vibrant colours and exclusive coffees drew a lot of attention at this years fair. One of mambocino's visitors this year was known fashion designer Neslihan Yargici. While Miss Yargici was enjoying a delicious mambocino coffee, she also discussed with Company owner Mr. Aydogdu future plans of working with Mambocino. 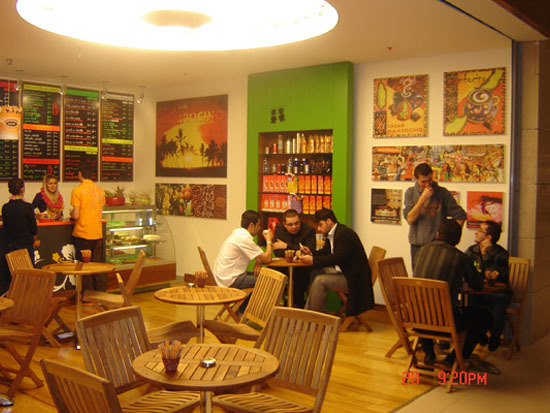 Turkey's first Mambocino Coffee opened in the capital of Turkey from Ankara. 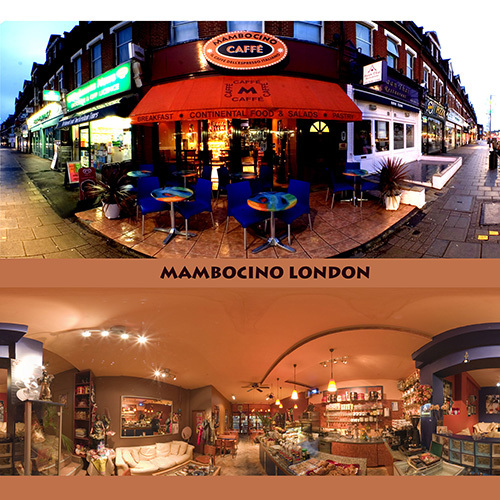 Mambocino Coffee are looking for franchise partners who demonstrate established operational and financial strength. 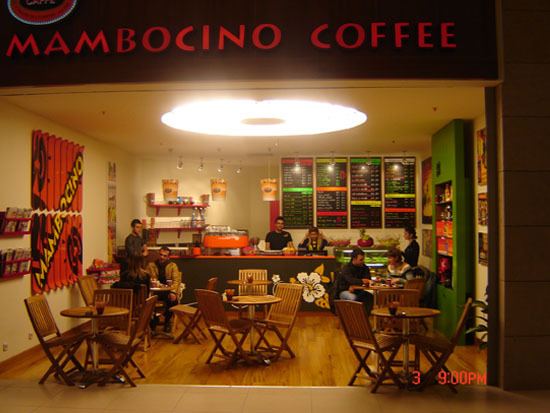 Mambocino Coffee Company distinguishes itself from its competitors in a number of ways. From the quality of our coffee, to our product range, service standards and outlets' ambience, the Mambocino Experience is one bespeaking quality and value. As the very core of our business rests on the fundament of a strong coffee programme, we are relentless in our pursuit of perfection on this point, from coffee buying and roasting, right through to coffee extraction standards at store level. The underlying concept of Mambocino Coffee Company is to serve very high quality fresh products made of natural ingredients and to stick to these core products, trusting in the timelessness of quality. Designed to be as stylish as a high street espresso bar, customers may never know this unit is mobile. With the highest quality of finish, in a choice of wood laminates facias, durable Corian surfaces and a full stainless steel sub structure, the Pod Bar is an impressive addition to any environment.The main Pod Bar can be added to with three further units to complete a full oval shaped counter, providing all the facilities of a full café. - Fully integral water system, including water reservoir, pump and filter system to drive an espresso machine and hand wash basin (incorporating low level water cut out facility). Barista training and launch support is available with all our bars.